Charter Communications has officially merged with Time Warner Cable to become the second largest broadband provider in the United States. This recent FCC approved merger includes the acquisition of Bright House Network and ensures that moving forward, Charter will become a household name every bit as ubiquitous as Comcast. The freshly established company will become known as New Charter and if they aren’t in your neighborhood, they will be soon. This merger places the massive conglomerate in a position to serve over 25 million customers in 41 states. Charter, however, has a checkered past that has led to a dismal reputation even among notoriously lackluster telecommunications companies. Founded in St. Louis, Charter began merging with several smaller providers like Crown Media, CableSouth and Earthlink in the early 1990’s. These acquisitions seemed to be providing rapid growth for the company, but in 2003, four former executives were indicted for improper financial reporting. In 2008, Charter became embroiled in scandal after it was discovered that during a routine sweep for inactivity, they inadvertently deleted 14,000 customer email accounts. By 2009, the company was swimming in $8 billion dollars of debt and declared bankruptcy. Since then, Charter has been quietly making a comeback. With CEO Tom Rutledge at the helm, the company was named PC World’s fastest ISP in 2011. Along with speedy internet, Charter Spectrum has added a robust menu of HD options to their TV packages and attractively priced bundles. While they continue to struggle with poor ratings, much of Charter’s reputation is based on a history of high-profile scandals rather than the provider’s current performance. Charter’s quest to acquire Time Warner Cable began back in 2012. After TWC executives rejected three separate offers, Charter abandoned the merger in 2014. This allowed Time Warner to run into the arms of a potential merger with Comcast and avoid Charter’s hostile overtures. Charter agreed to allow Comcast to bid for the provider in exchange for acquiring strategic service areas that would expand their footprint. When Comcast’s merger with Time Warner Cable fell through due to vocal public opposition, Charter restarted negotiations with Time Warner Cable in April 2015. During the acquisition process, Charter made some key concessions in order to win FCC approval that set an important precedent for the telecommunications industry. Typically, mergers like this mean bad news for consumers because they eliminate competition from the marketplace. In this case, however, FCC chairman Tom Wheeler pushed New Charter to agree to cease the practice of usage based billing, otherwise known as the dreaded data cap. The broadband provider promised to deliver affordable service to 2 million new customers, at least half of whom will reside in under-served areas of the country. New Charter will also not be allowed to participate in practices like connection fees that could discourage streaming content providers and limit content for cord cutters. While Charter’s troubled past might give some customers pause, there’s a lot of evidence to suggest that New Charter will be a completely different entity. Can I get Charter in my area? Until recently, Charter’s coaxial cable network was available in 28 states, with the most coverage in western states like Montana. Charter Spectrum’s fiber optic product extended to select metro areas and only served about 361,000 households. As a result of the recent merger with Time Warner Cable and Bright House, it is estimated than nearly one-sixth of all Americans will now be able to choose Charter as a provider. The new company’s footprint spans 41 states and serves over 25 million customers. New Charter’s commitment to the FCC to roll out their broadband network to an additional 2 million customers in under-served areas promises even more expansion in the next few years. Just enter your zip to see if you live in a Charter Spectrum service area. Is Charter a good cable TV provider? For those looking to secure Charter as their provider, we have good news and bad news. Let’s start positive. Charter has gained some ground over last year’s numbers in our customer satisfaction survey in almost every category. And that’s great because there was lots of room for improvement and there still is. Charter continues to rank in the bottom of the pack for customer satisfaction, especially in areas like pricing and customer service. Again, these unfavorable reviews may have less to do with the quality and value of Charter Spectrum’s TV service and more to do with a bad reputation that keeps coming back to haunt the company like The Ghost of Christmas Past. Charter Spectrum brings some significant advantages to the table that should enhance your viewing pleasure. The company boasts that they have more HD channels than any other provider. And yes, this lofty claim is true. With over 200 channels in fabulous HD, Charter soundly beats several brands that lead in customer satisfaction. Charter also offers to buy out your current contract up to five hundred dollars, provides a full menu of premium channels that cover all the bases, throws in a free DVR, and lets you have up to 60 channels on the go through the Spectrum TV app. With bundled prices that begin at $30.00 for lower end packages, it’s hard to understand how Charter could possibly be failing to keep customers satisfied. Let’s take a closer look at each aspect of Charter’s Spectrum TV service and try to dissect where the provider excels and where they need to step it up. Charter earns respectable ratings for installation and setup for a reason. They’re fairly efficient, especially in recent years. The TV cable provider offers two-hour appointment windows with an on-time guarantee, which is common across the industry. While they do charge an installation fee, it’s a nominal one and totals somewhere between $20-$35 depending on the market. It’s worth noting, however, that many providers don’t charge an installation fee at all. This small discrepancy is something customers should be made aware of before they order service. If you’d like to manage your appointments, you can do so online through Charter.net and opt to receive text updates that alert you when your technician is on the way. Again, nothing extraordinary to report here except that Charter is consistent, focused and getting it done. And in an industry that is often plagued with customer service concerns, Charter’s steadiness in this respect is something customers can hold onto. Spectrum TV’s DVR service sounds pretty snazzy. Digital technology, connect up to four TVs, record eight shows at once, and store over 780 hours of programming. What’s not to love? But frankly, this is pretty standard stuff these days. What is attractive, though, is these four letters: FREE. No purchase cost, no monthly service fee. Now that’s something worth talking about. In terms of choice of equipment, you don’t have one. Charter gives everybody a Motorola or an Arris DVR receiver depending on whether you have standard or HD service. You can use your own, but the provider makes it clear that it will be confusing and you’ll really wish you hadn’t. And also it’s free, so it’s hard to complain about that. Full listing of Motorola and Arris HD/Standard Receivers that Charter utilizes. If you’re lucky enough to live in Atlanta or Fort Worth, Texas, you might get to try one of the nifty, next generation DVRs that Charter and Cisco demoed at the Consumer Electronics Show last year. Dubbed the “Worldbox”, this receiver uses cloud based technology to deliver HD programming and downloadable security. The DVR unit contains a cable modem, 1 Terabyte of storage, a Gigabyte of RAM, and USB connections that will enable the device to offer “future applications.” Let’s hope that doesn’t include the ability to download food straight from Diners, Drive-Ins and Dives. 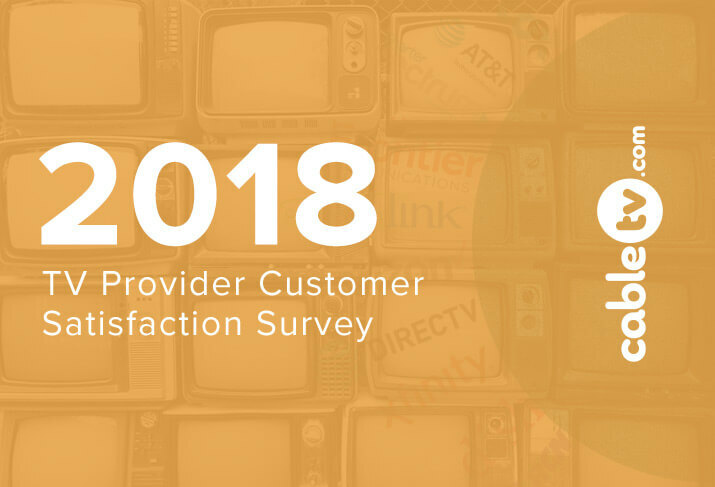 In terms of channel selection, Charter is edging out competitors like Time Warner, Cox and Optimum for customer satisfaction. And they absolutely should be. 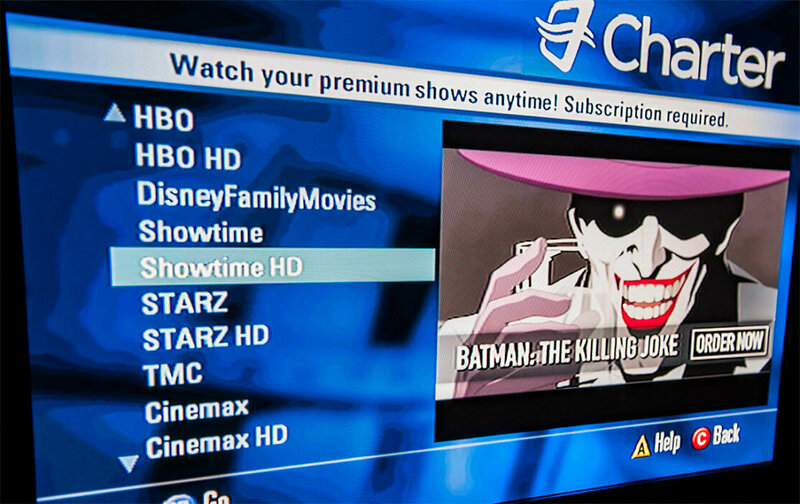 Charter Spectrum TV has an impressive array of HD choices and over 10,000 On Demand titles. Throwing in a free DVR and 60 channels to watch on the go sweetens the deal considerably. 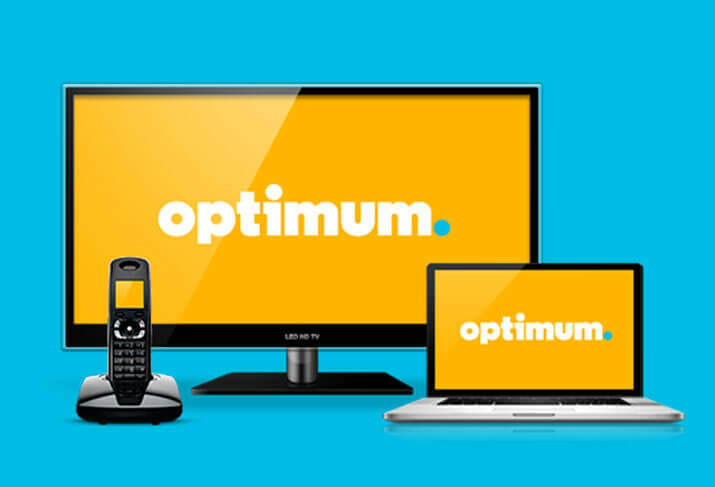 Charter’s packages are geared towards affordable bundles and while you can get the Spectrum TV Select a la carte, in many cases it is the same price or cheaper to bundle it with another service. It also makes sense to go for the “Gold” if you want premium channels because Charter charges a pretty steep fee to add channels a la carte to packages. You’ll pay fifteen dollars per channel, per month for premium programming from HBO, Starz, Cinemax, Showtime, Encore, TMC and Epix. Charter also lacks any options when it comes to specific movie and sports packages, a clear disadvantage for hard-core movie buffs or the sports obsessed. You can add premium channels to packages but as we previously discussed, this is a higher than average cost at $15 per channel so it’s more affordable to simply upgrade packages. Yes, Charter will buy you out of your current contract by paying early termination fees of up to $500 dollars. Here are the details. It’s difficult to tell exactly which channels come with each of Charter Spectrum’s TV packages. Package listings on the website are frustratingly obtuse and it takes entering an address to get a conclusive idea of the lineup in any given area. 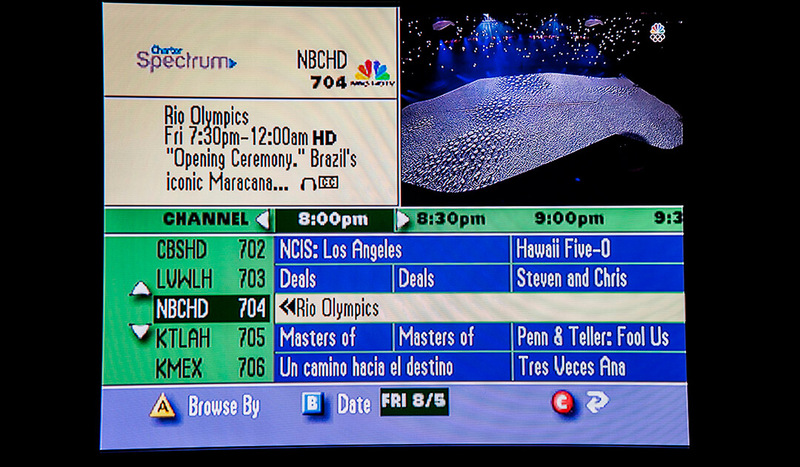 In general, the Spectrum Gold package seems to serve up between 200- 300 channels. That’s no match for other satellite and fiber providers, but it’s on average or better than other cable TV companies. And Charter is dedicated to providing many of those channels in HD. As we discussed earlier, the price point for adding premium channels is pretty painful. Also, the sports offerings are mediocre, although Charter does claim to offer season subscriptions. While there is not a specific Spanish language package, depending on your market, you may be able to add regional channels in Chinese or even Armenian a la carte. Nothing dazzling here but considering the bargain basement promotional price, this is quite a lot of value for your dollar. Does Charter have a mobile app? Charter is pretty bare bones when it comes to apps and additional features. Most of your account information, including billing and payment, can be handled online at Charter.net. They do have one application, the Spectrum TV app, that allows customers to watch over 60 channels anywhere via mobile devices. The app also lets you view up to 170 live channels if you’re tethered to Wi-Fi. You can use your smartphone as a remote, access your DVR recordings on the go, or scan the programming guide from a mobile device. There’s just one small problem. It doesn’t really work. Most of the reviews in the app store indicate it repeatedly crashes and the kindest assessment is the application is “junk”. This is an area where Charter has failed to follow through and provide something of substance. They’ll need to go back into development with the Spectrum TV app to ensure it’s a feature that provides the value that’s advertised. Signal reliability is an important factor to any customer. No matter how much you pay for your TV service, if it leaves you in the dark and at the mercy of spoilers from the last episode of Game of Thrones, it’s not worth much. Charter sinks into the lowest three providers in our survey for signal reliability, but it’s not clear exactly what’s at the bottom of the dissatisfaction. Charter has a dynamic storm center that issues warnings as weather threatens, provides a wealth of resources about preparation, and seems to respond relatively quickly to outages. So what’s going on here? In 2009, Charter was ranked as one of the least reliable ISPs, plagued by spotty coverage and frequent outages. Much of this was related to systemic leadership issues within the company that have since dissipated. It could be that much of the fist shaking in regards to TV reliability is just a factor of that reputation. New Charter will need to work hard to convince customers that they can be a trusted partner in delivering quality TV programming consistently. You want our trust New Charter, then you’ve got to earn it. This is the most problematic area of service for Charter Spectrum as is the case for most cable TV providers. Charter ranks at the very bottom in customer satisfaction with price and monthly billing. At first glance, it’s difficult to discern why. Charter Spectrum TV seems incredibly affordable, especially as part of a bundle of services. And considering the additional value of a free DVR and the robust menu of HD channels, Charter Spectrum customers ought to be thrilled. But all is not well in the state of Charter and a little digging turns up some obvious issues. Spectrum TV offers only three packages of service and while you can build your own bundles to get greater value, the choices are somewhat limited. There are also widespread complaints from customers about very steep price increases after the promotional period. This is part and parcel of how most cable companies bill for services so Charter isn’t alone. Feedback on Spectrum TV indicates customers are hit by two distinct waves of price hikes that see their costs nearly doubled after the promotional period expires. And like many other cable providers, Charter is less than transparent about those impending increases in their monthly billing approach. They do provide a very detailed resources page with both video and PDF tools to help customers understand their bills and a breakdown of where you can find itemized costs for taxes and services. In summary, Charter’s approach to pricing and billing isn’t drastically different than other cable TV providers. Even considering the price increases after the initial promotional period, Charter Spectrum’s TV bundles are still a great value. However, it appears customers would appreciate a more transparent handling of monthly billing to ensure they don’t feel ambushed by rising costs. How is Charter’s Customer Service? It’s hard not to look at that rating and quake a little bit in your boots. It doesn’t inspire faith. And while it is true that Charter appears to be floundering in this area, this rating doesn’t paint a complete picture. There are a few reasons for this. Charter launched Spectrum, a “fiber” rich network that primarily delivers faster Internet speeds to residential customers, last year. Charter has been expanding aggressively in an attempt to rebound after bankruptcy and it has typical growing pains. A failure to staff appropriately, confusing communication, and resources stretched too thin are all obvious factors of the kind of growth rate that Charter has experienced in the last few years. Long phone waits and a lack of technical expertise have contributed to mounting frustration. Customer service and technical support appears to have been neglected by the company in their rush to expand. Time Warner and Bright House customers absorbed in the merger will continue to receive service via the same numbers, presumably by the TWC and Bright House staff and infrastructure. This is not necessarily great news for Time Warner customers, whose service is problematic but still manages to outrank Charter in satisfaction. Charter has lots to recommend to the average consumer looking to purchase cable TV, but they’ll need to turn in a better performance here or risk outright mutiny by recently acquired customers. With Charter, you don’t have a contract so there’s less hassle with discontinuing service. You’ll still need to spend a good chunk of time on the phone and like most cable companies, they may try to extend promotional pricing or offer you some nifty perks to stay. If you’re intent on discontinuing your service, stick with it and you’ll be free to look for greener grass in no time. Just be warned that you may not find it. Charter is a provider with a complicated history and their current ratings reflect that reputation. Today’s New Charter promises to be a different beast and we have yet to determine whether customers should rejoice or be wary. For now, Charter is a cable TV provider that turns in a fairly reliable, consistent performance. They score significant points for affordable broadband, HD programming and a robust channel line-up that tops the competition. But if Charter wants to be the belle of the ball instead of the ugly stepsister, they’ll need to focus on improving transparency in their billing process and better support for their customers. Until then, this cable TV provider’s Cinderella story won’t have a fairytale ending. Charter describes itself as the “fastest Internet,” and in some of their service areas, that’s accurate. Charter has been providing high-speed Internet to parts of the Mountain West that haven’t seen better than dial up for the last decade. In most metro areas, Charter serves up 60Mbps, which is certainly fast enough to serve the needs of most households. With affordable bundle pricing and free modems, Charter high-speed Internet looks like a terrific value.As with most things, if it sounds too good to be true, it is. Charter may offer some zippy speeds but customers complain that the 30 Mbps packages don’t deliver reliably in rural areas. Charter has also had to settle a recent lawsuit alleging that for two years, they forced customers to utilize Charter modems, which is a direct violation of FCC rules. Let’s examine each aspect of Charter’s Internet service to determine if their claims about having the fastest, most affordable Internet are grounded in reality. Does Charter offer self-installation? For a company that’s handling growth efficiently, you might expect Charter’s ranking for installation and set-up to be stronger. There are two major concerns that are driving dissatisfaction in this area of service. Like most cable companies, Charter stacks its affordable bundles with hidden fees that sneak into the bill on the back end. Lower tier packages also have a one-time Wi-Fi fee that totals around $40.00 and a persistent $5.00 Wi-Fi monthly fee. So while you’re not paying for your modem, you’re getting nickel and dimed regardless. Secondly, Charter is struggling with some unhappy customers from previous years when they chose to limit the use of personal modems. The company claims they insisted customers use the modems they provided to insure the most efficient connection possible. And to be fair, since Charter was providing the Motorola modems for free without a monthly rental fee, there doesn’t seem to be a lot of self-interest behind the decision. But it’s still a clear violation of FCC rules and Charter, in the face of an impending lawsuit by modem manufacturer Zoom, has agreed to halt the practice. The company will pay a nominal $640,000 fine and adhere to a three-year compliance plan to guarantee they won’t skirt around the FCC regulation again. It’s a slap on the wrist, but Charter appears to have taken the reprimand seriously. 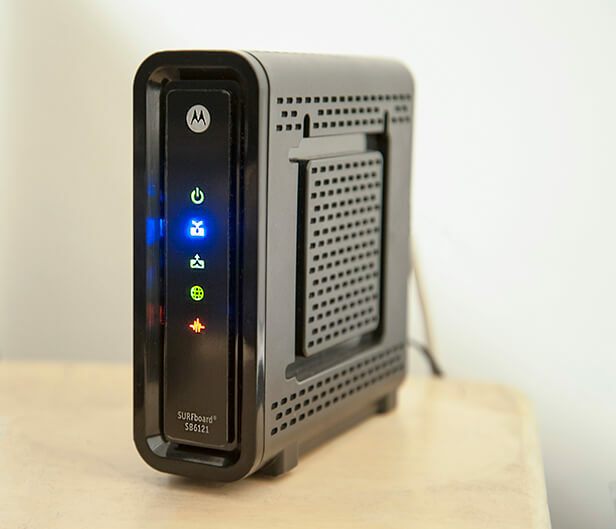 They now offer a much more comprehensive and inclusive list of modems that customers can utilize and plenty of resources for self-installation on their website. Can I use my own modems with Charter? Charter distributes free modems with their Internet service and typically utilizes Motorola/Arris equipment. A full listing of compatible modems is available on Charter.net. The following are some of the recommended models that Charter includes in their equipment listing as compatible and preferred for their network. As noted in the previous section, Charter had to back away in late 2014 from a policy that prohibited customers from using their own modems. Since then, although the company allowed the use of customer owned equipment, the list of compatible devices was so limited that many complained it was virtually impossible to find a compliant modem. Out of 25 approved modems, 22 were not available and the remaining three were more expensive, wireless models. Due to pressure from the FCC, Charter has since moved to an approach that is more friendly for customers looking to utilize cost-effective, older models or preowned equipment. Just remember, Charter provides modems for free with your Internet package and they insist that utilizing their equipment will enable you to have the speed and range to create a powerful home Wi-Fi network. It’s pretty hard to argue with that. Just take the free modem already, friends and enjoy the glorious, unfettered speeds that Charter promises. How fast is Charter Spectrum Internet? Charter Spectrum offers speeds that are “20x faster than DSL,” which makes sense given that the provider utilizes cable technology to deliver Internet service. They also claim to have the “fastest, most powerful in home Wi-Fi,” which they substantiate by alluding to the use of a superior, high-performance router. All factors seem to point to a service that excels at speed. If that’s the case, why isn’t Charter racing past their competitors for customer satisfaction in Internet speed? This may be a factor resulting from a simple lack of choice. Charter has streamlined Internet service by offering all their customers 60 Mbps. They do have a lower-tier package of 30 Mbps that is available in rural areas for those utilizing older technology, but it isn’t explicitly offered on the website. 60 Mbps is perfectly adequate for most households who stream on multiple devices, but high volume gamers and cord cutters may be frustrated by the lack of a higher-speed tier package. There have also been widespread complaints that Charter boasts of 30 Mbps in rural areas, but the connection speeds don’t deliver as promised. Upload speeds barely reach a trickle, clocking in at 4 Mbps even for the faster Spectrum package. Connection speeds of 30 Mbps, free Security Suite, free modem, no data caps, and access to EPIX online content. Upload speeds of 4 Mbps. Connection speeds of 60 Mbps, free Security Suite, free modem, no data caps, and access to EPIX online content. Upload speeds of 4 Mbps. Those are pretty attractive monthly prices, right? It’s hard to beat the deal that Charter offers on high-speed Internet, especially when bundled with other services. Also, the company has committed not to throttle speeds or use data caps for the next seven years, which is a promise you won’t currently get from most Internet providers. Yes, Comcast, we’re looking at you. Charter is setting a serious precedent here and it remains to be seen if other providers will step up to the challenge of affordable speeds and unlimited data. Not sure which speed you need? Find out here. Although it isn’t a well-advertised feature, Charter also offers access to a cloud drive and unlimited storage. You can have up to ten email accounts as part of your Charter Internet service. All of this is the fairly unremarkable, standardized stuff of basic cable Internet service but this is an instance of the old adage: you get what you pay for. At Charter’s bargain bundled prices, it’s hard to expect anything extraordinary. How reliable is Charter’s internet? Charter’s Spectrum Internet turns in a respectable ranking on reliability; however, they still run behind other broadband providers in our survey. Most of the time, customer issues with reliability are related to outages, but Charter hasn’t experienced more widespread interruptions in service than any other provider. In fact, Charter was named an Operator of the Year in 2014 by an industry publication. How could there be such a wide discrepancy between the provider’s reputation and their actual performance?The answer to that likely still lies in Charter’s past, hanging like a weight around the company’s neck and periodically drowning their efforts in the ire of old controversies. As a telecommunications company that went through widespread instability and bankruptcy less than a decade ago, Charter will have to remain consistent and turn in stellar performances before the public will learn to trust in their reliability. Does Charter require a contract? 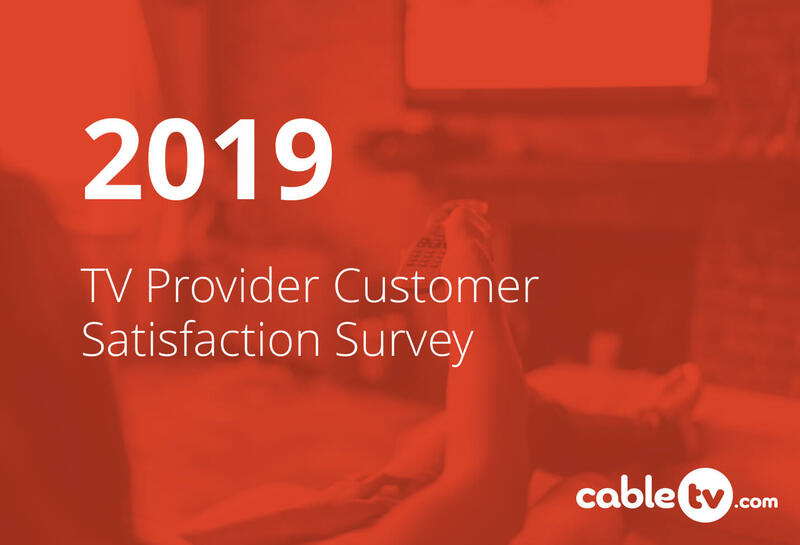 Charter Spectrum’s Internet turns in a similar performance in terms of customer monthly bill satisfaction as its cable TV service. Reports indicate that while the provider offers extremely attractive promotional pricing on bundles, those savings dry up quickly. Price hikes occur several times after a year of service, leaving customers feeling disgruntled and mislead.This promotional pricing approach is standard in the telecommunications industry and while Charter Spectrum customers may not appreciate the tactic, it works. Because the provider doesn’t require contracts, you’re always free to move on to greener pastures if the pricing ever moves into a range that no longer represents value for your household. As far as hidden costs, we’ve already detailed the hidden installation costs and the monthly fees for Wi-Fi. So while Charter provides free equipment that adds value to their Internet service, they certainly find ways to pass the bill along. If you’re one of the lucky 70% of Americans who have a choice of provider, pull up your calculator and do some quick math to make sure Charter is still winning the battle for your wallet. Does Charter Spectrum have good technical support? Customer service ratings often have direct correlations to general customer satisfaction. If you enjoy your Internet service and think it’s a good deal, you’re much more likely to be happy about the company that provides it and the people who answer their phones. So it makes sense that Charter’s ratings are a bit lower than some other Internet providers. Charter offers all the usual methods of access to their customers, with 24/7 support via email, phone and an online hub of print and video resources spanning every aspect of their services. However, customers continue to complain of long phone wait times and customer service agents who are unable to resolve problems due to a lack of expertise. Charter’s reputation comes into play here as well. In 2008, the company had dismal ratings and was named one of the worst ISPs by PC World. After Rutledge took the helm five years ago, Charter underwent a rapid transformation from beleaguered company to efficient engine of growth. While the provider still struggles with some of the remnants of controversies like a high-profile bankruptcy and financial mismanagement, deleting email accounts and prohibiting customer owned modems, they’ve come a long way, baby. Charter’s improved rankings, especially as it pertains to customer service and support, is one of the biggest indicators that the troubled telecommunications company has finally turned a corner. Can I cancel my Charter Spectrum Internet? Similar to Charter Spectrum’s cable TV service, there are no contracts required for Internet service, so cancellation woes and hassle should be minimal. The company also offers the $500 contract buyout if you’re looking to switch providers along with their own 30-day money back guarantee. The caveat is the company requires you to cancel service, pay the fee and then they’ll send you a reimbursement check based on the itemized final bill from your previous provider. This incentive is intended to cover early termination fees only so if your bill also includes other fees and costs, Charter won’t foot the bill for that. Should I get Charter Spectrum Internet? If Charter is offering Internet in your area, you’d be a fool not to consider it from a financial standpoint. Frankly, they’re a consistent, fairly fast connection for cheap. But if you’re not a “techie type” and you’re concerned about customer service and support, Charter may not be the ideal fit for your needs. You’ll also want to consider the long game when it comes to pricing. Charter has got some pretty promotional prices, but they turn ugly as your service ages. Either way, you’re not locked into a relationship with this provider so if the price hikes turn you off, you can always seek out a more compatible partner. Can I bundle services with Charter? We could probably agree that these fancy sounding features boil down to voicemail, call forwarding functions, caller ID, 3-way calls and call waiting. All of that is standard fare for phone service these days. Spectrum Voice also offers international calls at three cents per minute, but there are other providers that offer unlimited international calling, so this isn’t a selling point. Charter does not offer stand-alone phone service, because even your Grandma has an email address these days. Charter Communications is in transition in more ways than one. Not only are they poised on the cusp of a high-profile merger, they’ve also transformed their floundering company into an industry leader in less than a decade. It’s an impressive feat. Once the dust of New Charter’s construction settles, it’ll be time for the provider to take stock of its resources and turn its full attention towards improving the customer experience. That should begin with a focus on exemplary service and a more transparent pricing model. Once those changes take hold, New Charter’s TV, Internet and Phone service will finally represent the value we’ve been waiting for. Enter your zip to find Charter availability in your area.